What are our training procedures ? 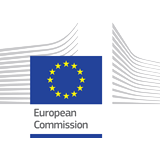 As part of its Development and Cooperation Program, the European Commission has set up a Training & Tutoring initiative under INSC, its Instrument for Nuclear Safety Cooperation. The T&T initiative has been implemented in successive phases since the beginning of January 2012 through contracts with ENSTTI. The T&T initiative is running its 4th phase, which started in January 2016 and will end in December 2018. Like the previous phases, it combines training and tutoring activities for employees of the Nuclear Regulatory Authorities and Technical Safety Organizations of INSC partner countries. Training and tutoring activities are organized within European NRAs and TSOs and are delivered by senior professionals from these organizations. Phase IV will involve organizing some regional training activities to bring in participants from regions outside INSC partner countries. Capacity building in nuclear safety, nuclear security and radiation protection covers a wide range of scientific and technological disciplines, and nuclear and radiation safety requires highly professional expertise in broad areas of nuclear technology. The construction of this expertise is more than a matter of education, as it involves transferring practical knowledge and culture. This transfer is best done by senior experts from Nuclear Regulatory Authorities (NRAs) and Technical Safety Organizations (TSOs) that actually work in the areas that are pertinent to regulatory practices. It is internationally recognized that the quality of training in safety and security assessment depends on the practical expertise of the trainers and that safety training has to be implemented in educational planning through NRA- and TSO-informed teaching programs. The ENSTTI management system is ISO 9001 certified and its Training Framework is ISO 29990 certified.